GETTING some last-minute practice in, before Caithness Heart Support Group's coffee morning at the Norseman Hotel, Wick, tomorrow (December 2). 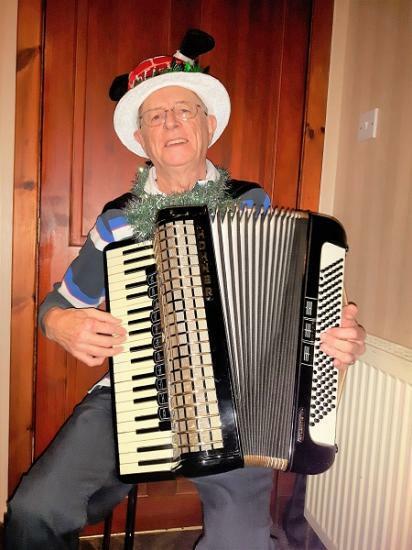 The group's vice chairman, Noel Donaldson, will be playing a mix of festive favourites and carols. There will be a variety of craft stands in the Heron Room, giving you a great chance to solve some of those pressie problems. Then you can relax in front of a 'real' fire in the adjoining lounge with a nice cup of coffee or tea and a mince pie or two and look forward to a bumper raffle draw. Said Noel: "This is the group's final fundraiser of the year and given the cost of medical equipment we finance for Caithness General and the county's GP practices, we are hoping to make it a record-breaker." Admission to the coffee morning, which will run from 10am-midday, is £3.